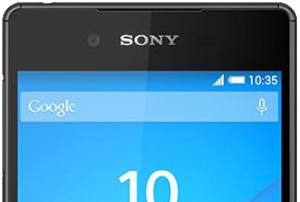 Adopting the same 5.2-inch HD (1080 x1920 pixel) screen and similar if slightly lighter and slimmer aluminum chassis, the waterproof Sony Xperia Z3+ Android-based smartphone boasts a more powerful 64-bit Octa-core Snapdragon processor and an improved front-facing camera, but the spec of the rear 20-Mpix camera looks unchanged. However, in our industry standard tests consisting of real-world use and lab tests, it notches up some impressive results, proving that you can’t judge performance from spec-sheets alone. 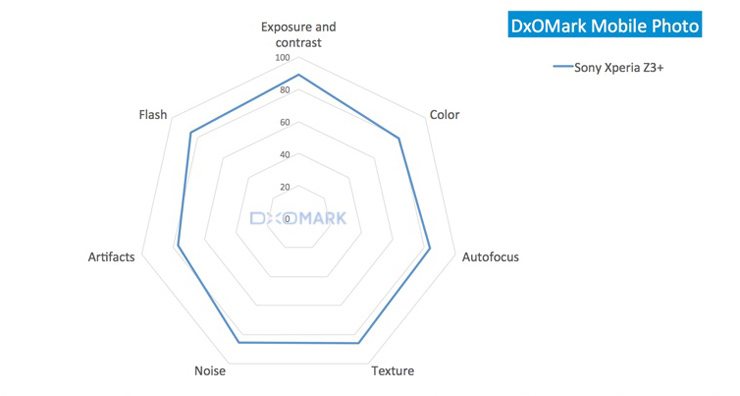 Achieving a very high score in the DxOMark Mobile industry standard tests, the latest iteration of the Sony Xperia Z the Z3+ breaks the Samsung and Apple duopoly for Mobile image quality. 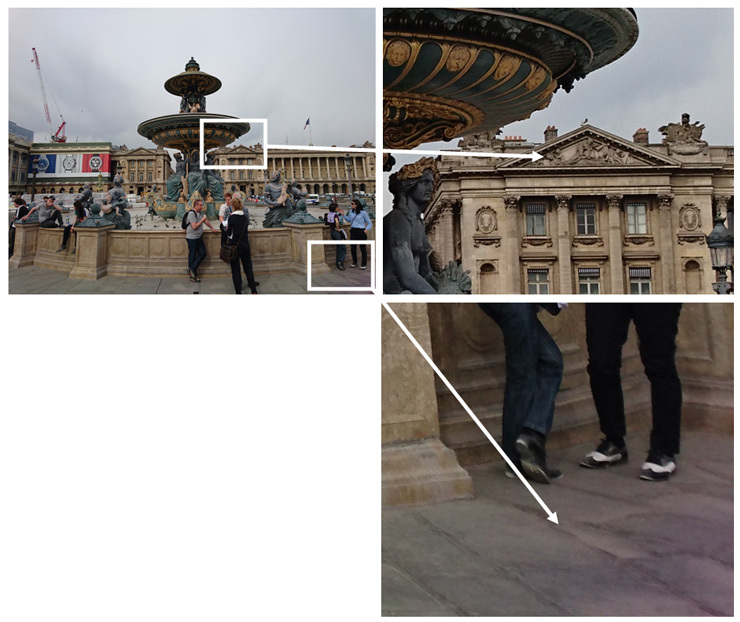 With an over DxOMobile score of 82 points, the Xperia Z3+ shows some slight improvement in image quality over its predecessors the Z3 and Z2, which both achieved the same score of 79 points. However, while the improvement isn’t huge exactly, it is good enough to place the flagship Z3+ in the Top 3 — in joint third place next to the latest iteration of Apple’s smartphone, the iPhone 6 and 6 Plus. Looking at its strengths the Z3+ achieved a high score for exposure and contrast, but the results were also impressive for autofocus, texture (detail), noise, and flash, helping to achieve a well-balanced result overall. 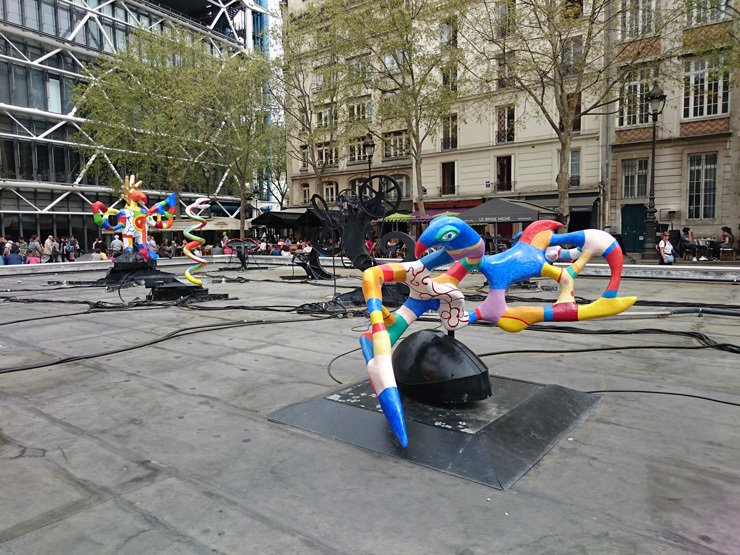 Exposure definitely stands out as a strong point for the Xperia Z3+. 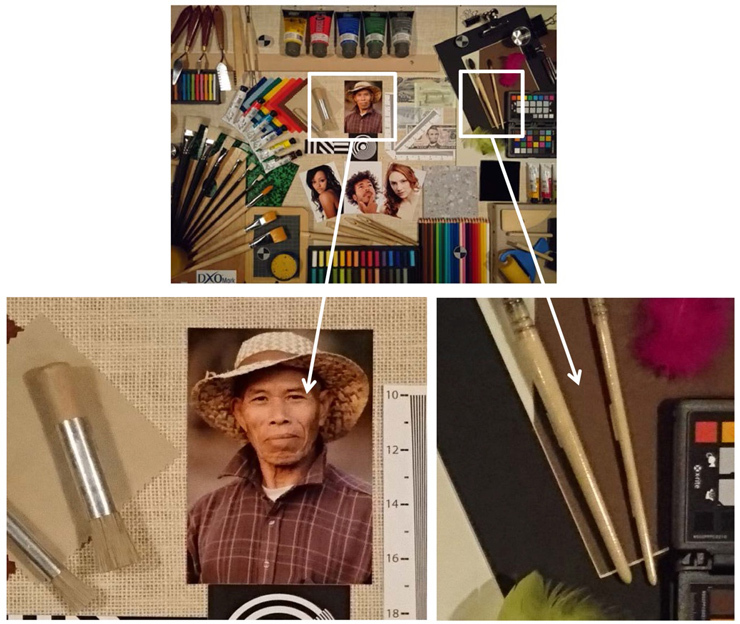 In our tests, images are mostly well-exposed, but in high-contrast scenes, some clipped highlights and shadows are noticeable, along with the inevitable loss of details in those areas. 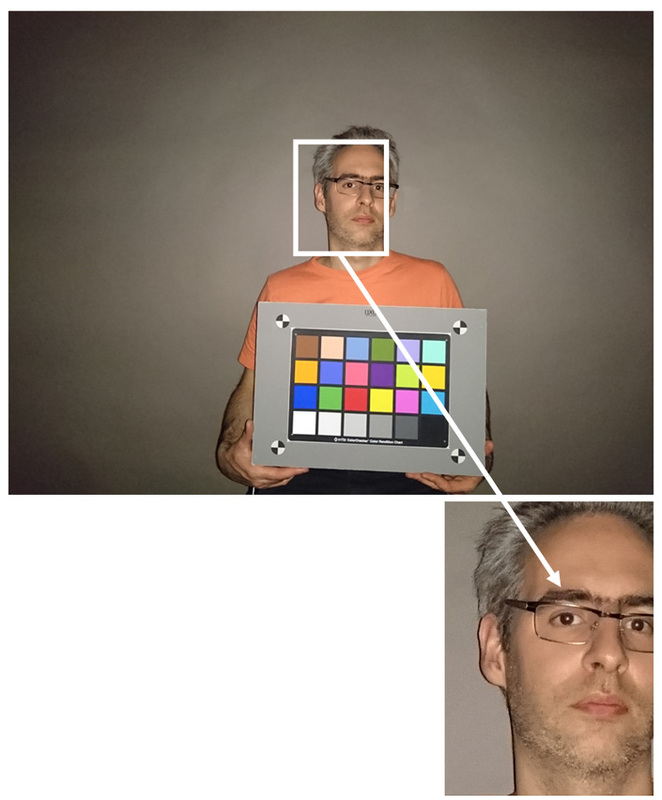 In extreme low-light levels (5 lux), exposure inaccuracies are noticeable. 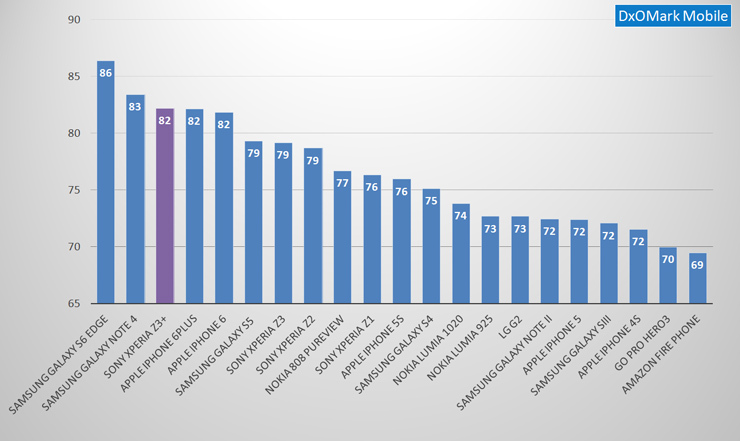 However, while improving on the earlier Z3 model slightly, the Z3+ can’t quite match the iPhone 6 or Galaxy S6 Edge, which were the strongest performers measured in this category to date. White balance is good in most situations, with vivid yet accurate colors outdoors, and a fairly typical slight yellow cast (although not unpleasant) under tungsten lighting. Some color shading is noticeable at times, predominantly in brightly- and uniformly-lit outdoor planar scenes (such as a light-colored wall or background) and, as expected, less so under low-light levels. The Z3+ also has low noise and although visible in low-light levels, it is fine-grained luminance noise in type and not unattractive or unsightly. Importantly, files retain good levels of detail in both outdoors and low-light conditions, but sharpness is not uniform across the field, with the lens being inevitably sharper in the center. Lastly, the exposure with built-in flash is accurate within range and has good detail, low noise and pleasing color, but images show reduced illumination in the corners, fairly typical among current models. As for video, the Z3+ achieved an overall video score of 79, narrowly up on the Z3’s score of 76. The Z3+ produced strong results for color (white balance), autofocus and noise, while more or less matching the Z3 for stabilization, texture and control of artifacts. The Z3+ exhibits somewhat slow autofocus operation, though it rarely overshoots as a consequence, and color shading is noticeable at times, particularly under tungsten lighting (on light-colored, uniformly-lit backgrounds). An outdoor scene under good lighting results in generally good white balance, with vivid yet still pleasant-looking colors. Some corner shading is visible, however, in the bottom left and right corners. Another brightly-lit outdoor scene, this time with a more uniform background, highlights the color shading issue more clearly. 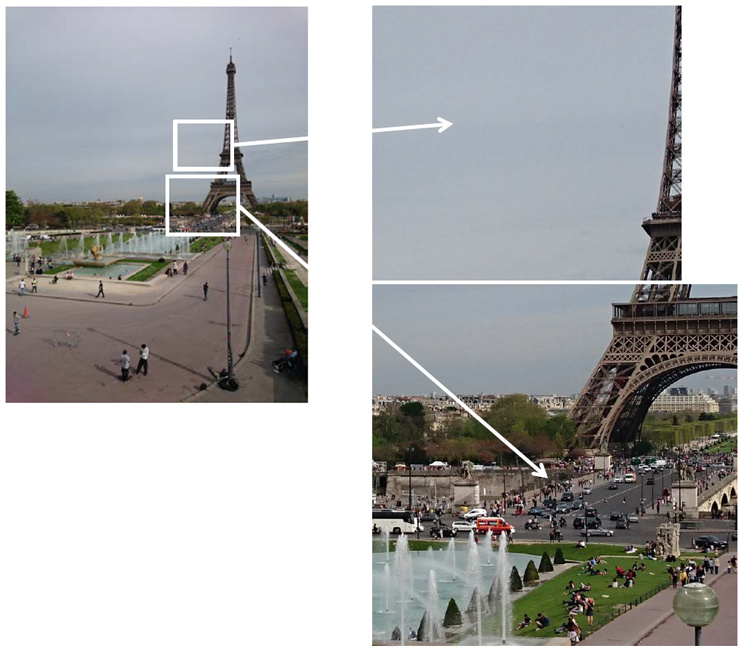 Sharpness is good centrally, but typically, edge and corner sharpness is lower (crops shown at 100%). In this outdoor scene detail is very high, particularly centrally, while noise is well-controlled in areas of single color (in this case the sky). In our low-light (20 lux) test scene, the Z3+ is able to retain a high level of detail while suppressing noise. 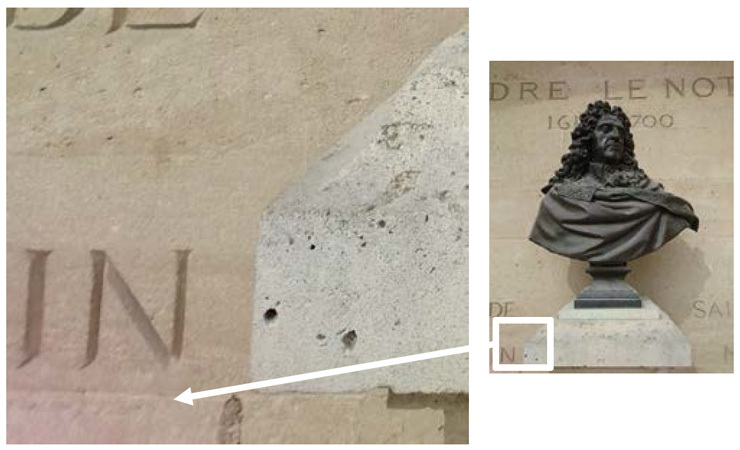 Fine-grain luminance-type noise is still visible, but it’s not distracting nor unattractive. Flash shows the typical attenuation in the image corners, but exposure is accurate centrally and there’s good detail preservation and generally pleasing colors. - Good white balance and pleasing colors in most situations. - Good detail preservation and low noise in both outdoors and low-light conditions. - Fast and accurate autofocus in bright lighting conditions. - With flash: good detail preservation, low noise levels and pleasing white balance. - Stabilization is very good and provides pleasing video. - Strong color shading visible in outdoor conditions. - Slight difference of sharpness noticeable between the center and the corners. - Slight color fringing and ringing noticeable. - Some stabilization artifacts noticeable on indoor walk test. - Color shading noticeable with tungsten illuminant.